Obituary Notice for Dr. John "Jack" Rushin | Pepper Funeral Homes & Cremation Facility, Inc.
Dr. John A. 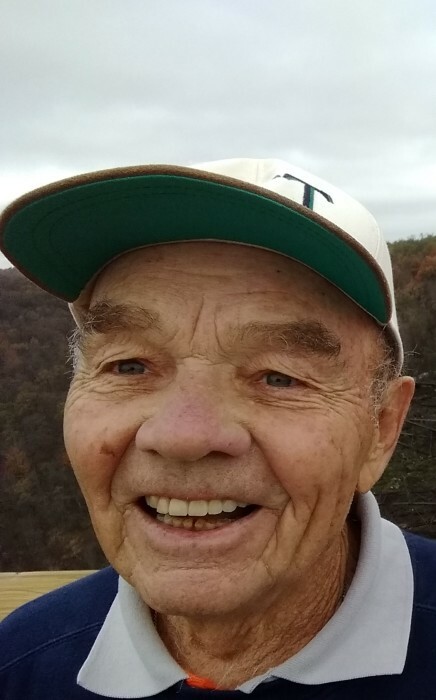 “Jack” Rushin, 86, well-known Canton, PA resident passed away Sunday, April 14, 2019 at Winter Haven Hospital in Winter Haven, FL. John Andrew, “Jack” to family and friends, was born June 19, 1932 in Alden, PA (Luzerne County), a son of the late Andrew and Sophie (Olshefski) Rushin. In 1950, he graduated from Newport High School before earning a Doctor of Dental Surgery degree from the University of Pittsburgh in 1956. He then served in the U.S. Air Force for three years in Florida. On December 17, 1956 Jack married the former Albertha Kemerite. They were blessed with 62 years together and raised two children. Dr. Rushin first started his practice in Canton in 1960. He later worked with the Dentistry Department of the Guthrie Clinic from 1967 – 1968 before re-establishing his Canton practice in 1969. In 1986, Dr. Rushin opened a new dental office located at 11 E. Main St. Canton where he remained until retirement. Jack knew the Lord in his heart and was a faithful member of St. Michael’s Roman Catholic Church and a 4th Degree Knights of Columbus. He was a past president and member of the Canton Area School Board, Canton Lion’s Club, the South Mountain Hunting Club and was a former high school PIAA football referee. Jack immensely enjoyed times shared with his family and friends. Most every morning one would see him at the Chatter Box Restaurant when he was in Canton. He also enjoyed walking, golf, fishing and hunting when able. In addition to his beloved wife Albertha, surviving are his children; Kim White of Canton and John (Patricia) Rushin of Franklindale, three grandchildren; Kelsy (Matt) Sandrock of North Carolina, Carly White of West Chester and Conor White of Virginia, a brother; Jerry (Alice) Rushin of Corry, PA , several nieces, nephews, cousins and many dear friends and neighbors. He was predeceased by three siblings; Andrew “Bud” Rushin, Paul Rushin and Jane Lucke. Calling hours will be 5 – 8 p.m. Monday, Apr. 22, at Pepper Funeral Home & Cremation Facility, 578 Springbrook Dr. in Canton. Father Joseph Kutch will officiate the Mass of Christian Burial at 10 a.m. Tuesday, Apr. 23, at St. Michael’s The Archangel Roman Catholic Church at Union & Washington Sts. in Canton. Burial will follow in St. Michael’s Cemetery with military honors accorded. In lieu of flowers, consider a donation in Dr. Rushin’s name to his church, St. Michael’s Building and Maintenance fund, c/0 106 N. Washington St. Canton, Pa. 17724. There's still time to send flowers to the Visitation at the Pepper Funeral Home from 5:00 PM to 8:00 PM on April 22, 2019.